INTERNET OF THINGS (IoT) network provider VT Networks has announced a new €1.2 million round of funding that will help secure Ireland’s first nationwide cost-effective connectivity network in 2016. In November last year, VT Networks announced a partnership with French company Sigfox who have developed an IoT network that specifically caters towards low-power and cost-effective connectivity for utility, security and other IoT devices. Working with RTÉ subsidiary 2RN, VT Networks have rolled out Sigfox technology in numerous base stations across Ireland to date, reaching 72% of the population and covering 62% of Ireland’s landmass. Speaking to TheJournal.ie, Mark Bannon, CEO of VT Networks, said this latest round of funding will help grow the existing network to cover almost the entire country. We made the announcement back in November that we will be working with Sigfox technology to develop Ireland’s first IoT network, but today is important because we brought to an end the funding round. This additional funding means we will be able to boost our network reach to 95% population and territory coverage by June of this year. Now a leading trend worldwide, IoT is expected to be the latest technological development to change the way consumers and businesses interact with their devices. Ireland is the 12th country worldwide to provide this network and its accessibility on a nationwide basis will allow consumers and businesses to avail of IoT products that could improve the cost-effectiveness of basic utilities. 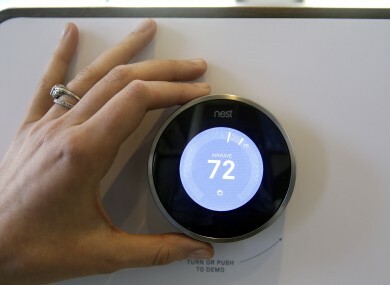 Popular IoT products available at present include Belkin’s WeMo range that allows you to control light switches using a smartphone, Nest’s line of products that includes a smart thermostat that learns your habits, and a device popular among Airbnb users called Lockitron, which allows keyless entry to a premises using a passcode. “It’s all about outsourcing life to IoT. This network will allows business and consumer to change the way they interact with the world around them. It will change business model by taking simple stress out of life,” Bannon said. For example, if your house’s oil tank runs out and it is fitted with IoT technology, you won’t need to call the oil company to come and fill up your tank. The IoT device will inform the oil company independently that you are out of oil and they will know to come and fill up your tank. This is the first time Ireland has a dedicated network that will allow IoT devices to connect and interact with one another. Unlike the existing 3G and 4G networks available nationwide, VT Network’s new service will allow nationwide low-power and cost-effective connectivity, meaning utility devices will be able to benefit from longer battery life while also possessing IoT capabilities. Email “The reason why the Internet of Things revolution is about to kickstart in Ireland”. Feedback on “The reason why the Internet of Things revolution is about to kickstart in Ireland”.